Clothing designer Kirstie Kelly has added a line of Disney diamond engagement and wedding rings to the collection. You may remember her for her line of Disney character-inspired wedding gowns and bridesmaid and flower girl dresses a few years ago. We would love to know which one is your favorite. Kelly unveiled six engagement rings with matching wedding bands, under the label “Kirstie Kelly for Disney by Mouawad,” Tuesday at the Intercontinental Barclay Hotel in New York as part of Briday Fashion Week, according to National Jeweler. 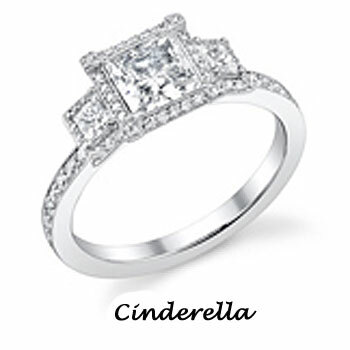 “It’s different, in the sense that there’s a story behind each princess,” Kelly told the National Jeweler. 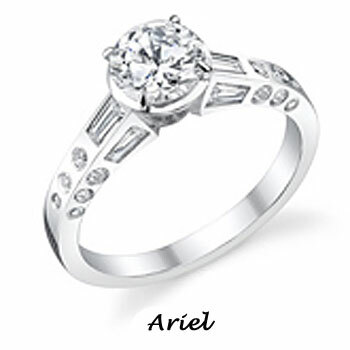 The Walt Disney Company states about the engagement rings: “Subtle references to the personalities of each princess can be seen throughout the collection such as pave and millgrain borders, suggestive of Cinderella’s ethereal grace and charm, or baguettes and clean lines for Ariel, symbolic of an art deco influence and her bold individuality.” Another example, the ring that was designed based on Belle from 1991’s Beauty and the Beast, features a rose-cut diamond, a play on the enchanted rose that played an important role in the film. It can also be used to hold diamonds of other cuts. The diamond rings retail between $1.2K – $6K. We would love to know which ring is your favorite in our Disney engagement ring poll below!! < Previous Wedding rings too expensive to give out at Halloween? Next > How did these lucky ladies get a free wedding dress? 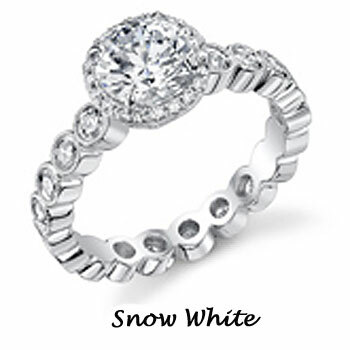 I hope my husband looks at these rings, I think the Jasmine one is my favorite, so different but still so elegant. Hey Andy, hope you read this or at least read my mind so you know which ring I am wanting. All of these disney engagement ringsd are amazing to me!! 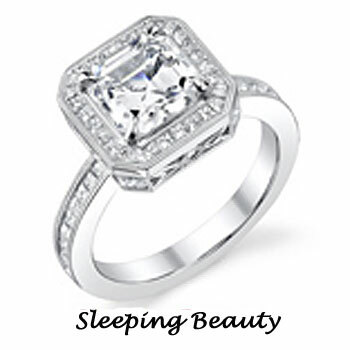 It seems the people have spoken and the “Sleeping Beauty” engagement ring has become the top voted for disney engagement ring on the wedding website. 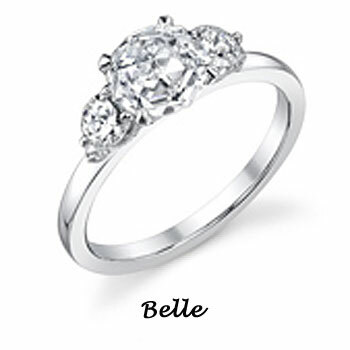 I personally like the Belle ring myself, of cource it looks very similar to the 1 carat diamond ring my husband got me 5 years ago so I would say I am a little partial? By the way, where are these rings being sold and what is their release date? It looks like late Spring 2010 will be the release date on these charming rings. As soon as I know an exxact date I will keep you posted. Also unsure of who exactly is going to carry them still. Have these rings come out yet? Are they available to purchase or have they been delayed? I really like the Cinderella . I thought it was a kids ring as a joke till I saw the prices. WOW! I need to know how I can buy one of these rings. I want the Belle one. but i cant find it anywhere on the net. how do you but them? where do you buy them? loads of places advertise them but noone puts the link to where you can buy them from. Emily, I just scoured the internet and even the store Mouawad doesn’t seem to carry this exclusive line anymore. Sorry, it seems that whoever did buy them has something more rare than they realize. 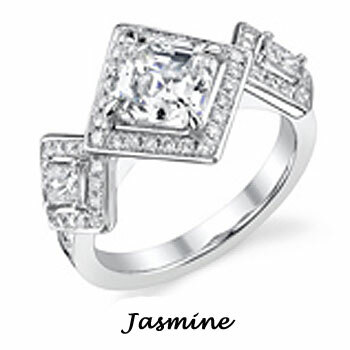 Love the shape of the Jasmine ring! Such a beautiful cut! You know a whole lot its almost hard to argue with you (not that I actually will need toâ€¦HaHa).